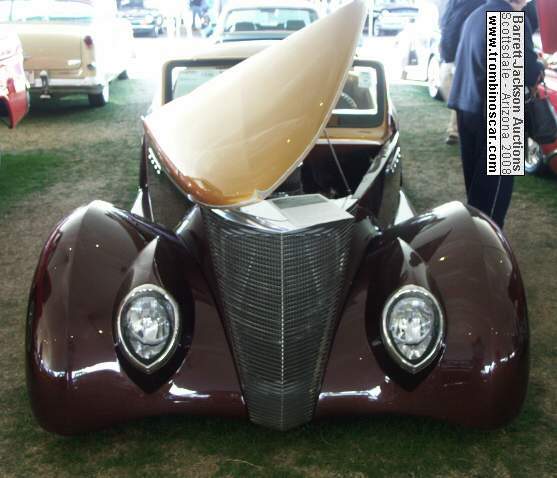 Summary : This 1937 Roadster debuted at the 2007 Detroit Autorama. 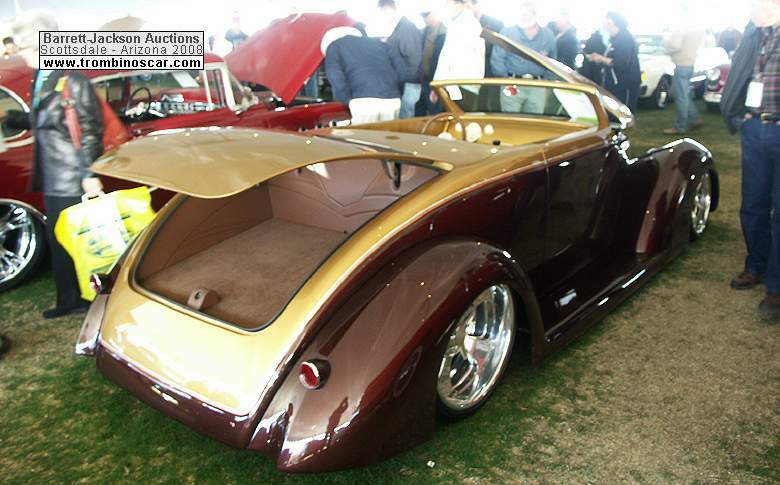 Multiple award winner including Goodguys Fab 5 and PPG show car for two National Street Rod Association events. 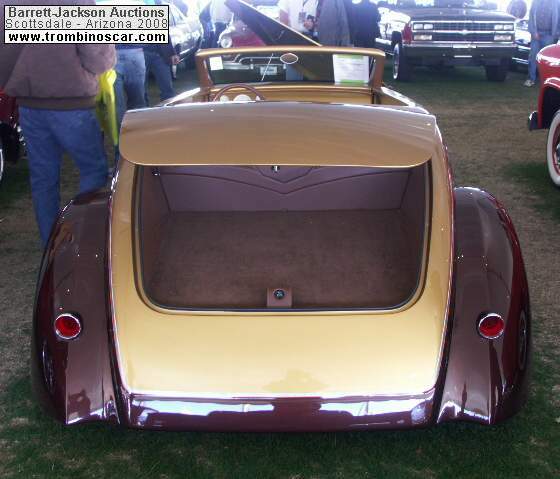 Description : "The Brown Hornet" Clean, elegant, uncluttered and Pro Rides built, this 1937 Roadster debuted at the 2007 Detroit AutoRama. 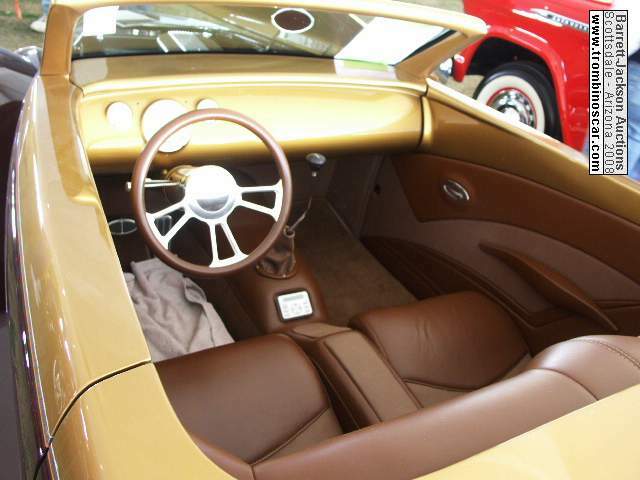 Starting with a Wild Rod body, the crew reshaped the wheel openings, windshield surround, lengthened the hood, added a custom gas filler and hand-machined LED taillights. 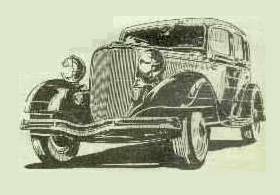 The body sits on a custom chassis with independent front suspension and Currie 9+ rear mounted with triangulated 4-bar and Air Ride Shockwaves on all 4 corners. Wilwood 6 piston polished calipers with 13" crossed-drilled, slotted and zinc wash rotors. Billet Specialties 18" and 20" wrapped in BFG rubber. 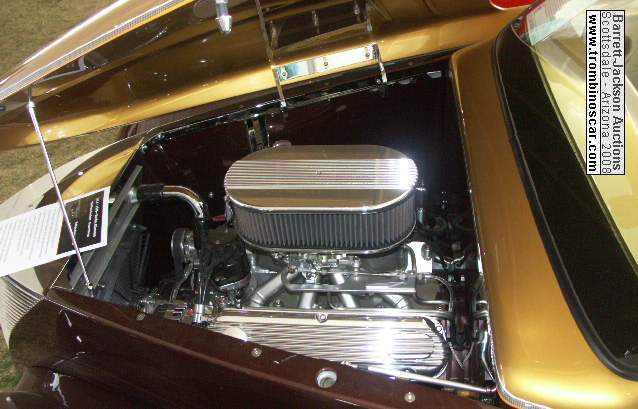 Engine is a 485hp 347cid small block Ford with Hogan sheetmetal intake true billet valve covers and air cleaner from Billet Specialties hooked to a state of the art Bowler Ford AOD-E 4-speed automatic. Induction is a Barry Grant Mighty Demon 575 carb with custom headers and exhaust running through Flowmaster mufflers. PPG Sedona Bronze and Inca Gold paint with custom all paint graphics by ICON extended in the engine compartment and door jams. Appleman custom brown leather interior with distressed leather inserts, Classic Instruments and killer JL Audio components with Pioneer marine head unit. 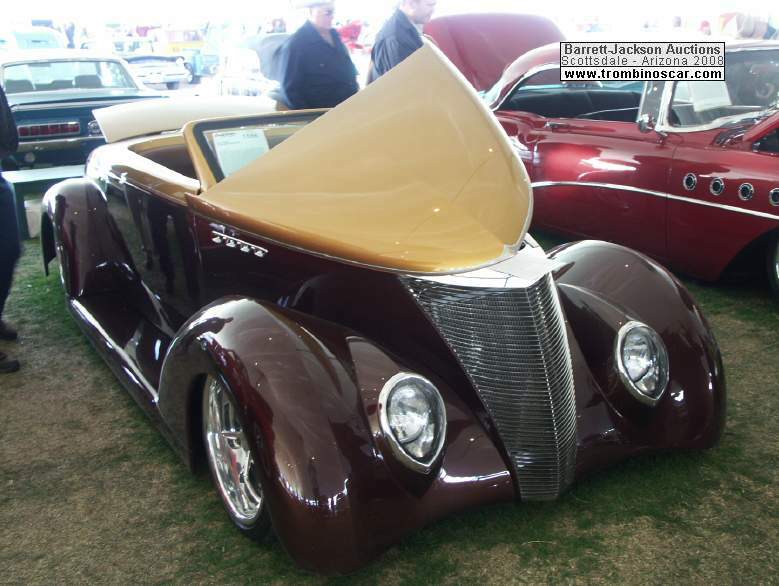 Multiple award winner including Goodguys Fab 5 and PPG show car for two National Street Rod Association events.